Color no one surprised, but the winds of conference realignment are strong yet again as Coastal Carolina will announce Tuesday that it’s headed from the Big South Conference to the Sun Belt Conference, with league play beginning in 2017. The move is a bold one for the Chanticleers, particularly from a cost and travel standpoint. But, it’s one that increases the profile of the Sun Belt Conference. Currently, the league includes solid programs such as South Alabama, Troy, Louisiana-Lafayette, Georgia Southern and Texas State, among others who also, in the past, have experienced some success. Coastal Carolina’s addition to the league only empowers the group from a baseball standpoint. The Chants have been one of the more successful “mid-major” programs in college baseball during the Gary Gilmore era, having reached NCAA regionals from 2001-2005 and in all but two years since 2006. The Chanticleers also have made a pair of super regional appearances, namely in 2008 and 2010, where they dropped tough series to North Carolina and South Carolina, respectively. In addition to its success on the baseball diamond, there’s plenty of excitement building outside of the diamond as well. 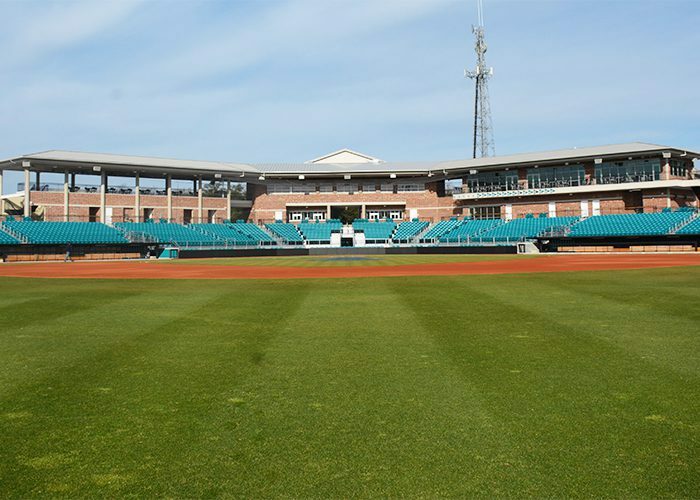 The Chanticleers opened $15.2 million Springs Brooks Stadium this past season, and the state-of-the-art facility has the ability to hold up to 6,000 fans for a postseason tournament. The Chants also have one of the nation’s best hitting facilities, which included a $1.2 million price tag. Coastal Carolina’s move could have sweeping ramifications for both conferences. With the Sun Belt’s improved profile, RPIs, in theory, should be better, thus increasing chances of reaching the postseason. Meanwhile, it’s important for the Big South to continue to build as a league. Radford made noise last season with a magical campaign, while Jim Toman’s Liberty program is successful and has an elite facility, and Campbell continues to experience success. Otherwise, the Big South consistently leaves something to be desired. Coastal, which is expected to be very solid in 2016, will spend one more season in the Big South before making the trek to its new conference home. The Chants would love to get one last Big South title, while on the flip side, they now have a bigger target than they’ve ever had before.